Chemicals, like calcium chloride—commonly called "road salts—are used to prevent the ice formation and snow accumulation that can lead to dangerous travel conditions. But they are also known culprits behind potholes and road surface deterioration. This degradation is caused by the chemicals reacting with the concrete and the water in ice and snow to form an expansive compound that can break down concrete by generating internal expansions and distresses. The deleterious compound, called CAOXY—short for calcium oxychloride—can also wedge out chunks of concrete as it infiltrates the road surface before freezing and thawing. In their research, recently published in the journal Construction and Building Materials, Yaghoob Farnam, Ph.D., Christopher Sales, Ph.D., and Caroline Schauer, Ph.D., researchers in Drexel's College of Engineering, show how mixing a bit of bacteria into concrete can curtail the formation of CAOXY. 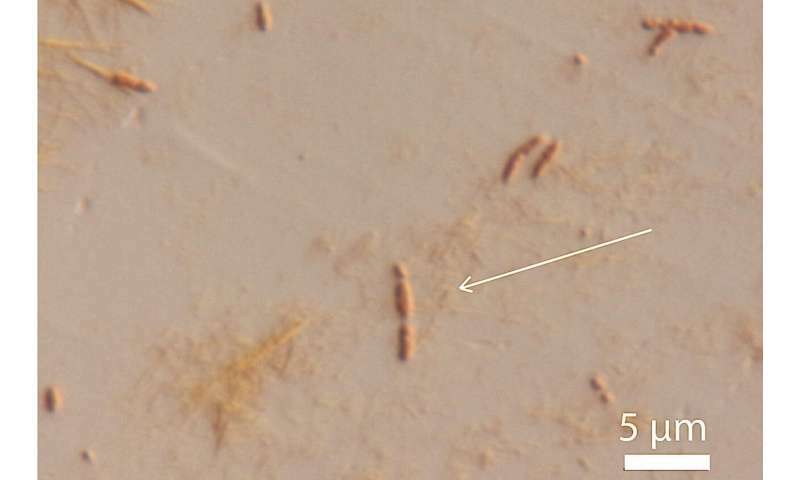 The pair arrived at their theory while studying a strain of bacteria called Sporosarcina pasteurii. S. pasteurii is rather unusual because it is able to induce the chemical reaction that creates calcium carbonate, a substance often referred to as "nature's cement." Only a few types of bacteria are able to pull of this trick, called microbial induced calcium carbonate precipitation, or "biomineralization," but you can see their work in the mineral depositions that form limestone and marble. 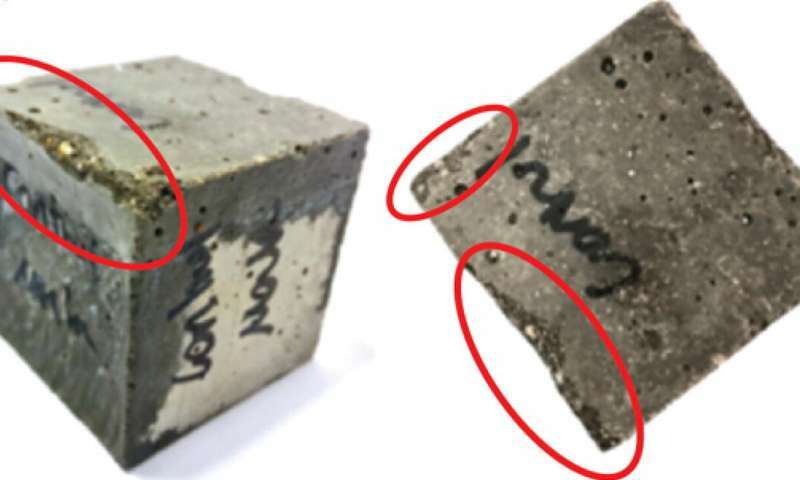 Over the last decade bacteria like S. pasteurii have been studied as a way to repair cracks in statues and concrete infrastructure, and, more recently, as an environmentally sustainable option for making bricks. But the Drexel researchers realized that one of the bacteria's other talents might also be quite useful for preventing those cracks for forming in the first place. "We were actually looking at the end product of a chemical reaction involving these bacteria—calcite—but we came to realize that the way they produce it could be quite useful when it comes to diverting the reaction that turns road salt into a road-deteriorating compound," Farnam said. "We knew the bacteria require calcium chloride to produce the calcite, which is a harmless compound. So if we could work out a way to have the bacteria present when the calcium chloride road salt hits the concrete it could interact with the bacteria and curtail the reaction that causes road degradation." To test their theory, Sales and Farnam made a series of concrete samples using the type of cement commonly used in roads and added a mixture of S. pasteurii and the nutrients they need to survive to some of the samples. After 28 days of exposure to a solution of calcium chloride—simulating one month of road treatment in the winter—they performed a series of tests on the samples to determine their structural integrity and measure the amount of CAOXY present. In addition, the levels of CAOXY were much lower in the bacteria-laden samples, as a result of the microbial induced calcium carbonate precipitation. And the presence of calcium carbonate suggests that the bacteria's interaction could also be used to strengthen the road surface, though this application would require more research, according to the team.